Whenever cynicism and doubt pervade public conscience, heroes emerge from our stories to brighten up the gloom. Star Wars emerged from the petulance and suspicion aroused by Watergate, and similarly, Spider-Man reinvigorated the super-hero genre in the summer following 9/11. Heroes brought the genre to television as approval ratings for nearly every government office began to plummet last fall. 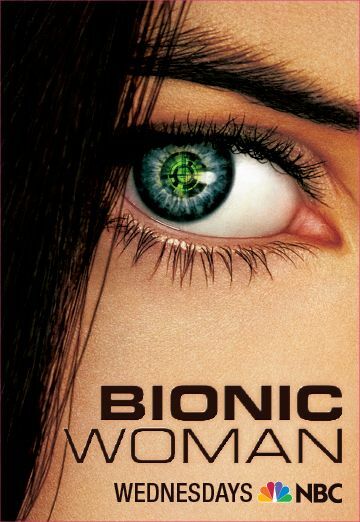 Now, Bionic Woman, a remake of the late 70s series of the same name, seeks to cash in on the same success. Jaime Sommers (Michelle Ryan) sits on the cusp of her future. She tends bar to pay the bills and struggles to provide guidance to her little sister who lives to bend the rules. Jaime’s boyfriend Will (Chris Bowers) is a doctor, and upon learning Jaime is pregnant, he means to declare his devotion to her. One car wreck and all of this comes to grinding halt. Jaime hangs on to life as Will takes her to a secret government laboratory where, naturally, he can save her life. Cutting edge robotics replaces an eye, an arm, and both legs. Now she’s better. Stronger. Faster. Unfortunately, we can’t say the same for the show. The pilot plays like a 40-minute music video, which might make it faster, though not altogether better. Exposition is cheap, and far too fleeting. As Jaime discovers her powers, unoriginal moments find her jumping rooftops ala Peter Parker, and zooming in on faraway objects through her bionic eye ala RoboCop/Terminator. The idea at the heart of this shows some promise. Right away, Will (who somehow manages to hold down a job as a lecturer while he’s busy pioneering robotics) highlights the ethical dilemmas involved with this kind of technology. It could make for some great topical storytelling. The problem with the pilot is that it tries to do too much. We hear about the ethical/moral problems, Jamie’s struggle to keep her family together, and her new baby all inside of six minutes. The baby, lost in the car accident, winds up completely forgotten by everyone involved and the audience is never given a chance to care. The organization behind Will’s work never receives enough time to even establish its reason for being. They already had their hands full with their first bionic woman—Katee Sackoff, taking a brief break from Battlestar Galactica—whom they not only allowed to escape, but was responsible for causing the accident that sent Jaime under the knife. Establishing an arch-villain right away does help the show recover from its laborious and hurried conflict. Sackoff can even mock melodrama with aplomb. With her troubled blend of beauty and menace, I almost wonder if she would have been better cast as the hero. No one else, however, gets a chance to really establish themselves. There’s just not enough time—Jaime must learn how to hop buildings and somehow learn how to fight before the next commercial break! Had the creators been allowed a two hour slot—roughly 80 minutes of broadcast time—the story would have had ample time to meet its goals. Despite the show’s desire to give us a new hero, I am less than inspired. My cynicism remains, and I doubt the show will survive into next fall. But, this is just the pilot. You really never know. But I can promise this…I won’t be tuning in for this one.